Online senior dating is a thing! Nowadays, seniors are more tech savvy than years ago, and they are using their newly acquired digital knowledge to improve their dating life. According to a recent study by the Pew Research Center, mature men and women are embracing new technologies at a fast pace. Four in every 10 seniors owns a smartphone. This is the reason behind the success of dating apps amongst older singles. 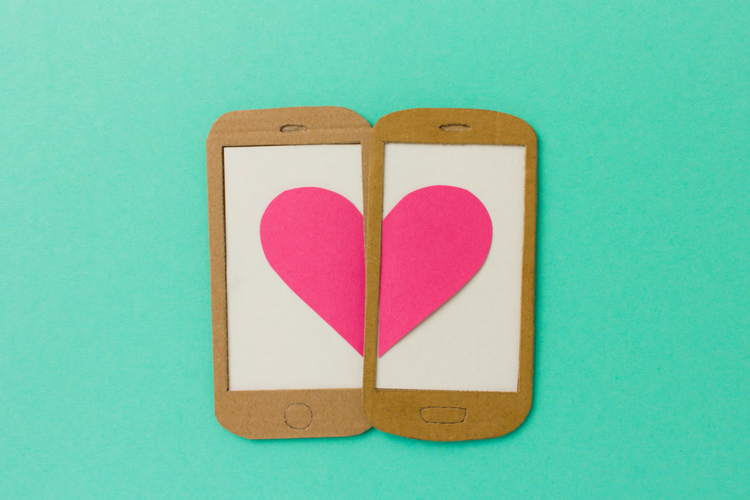 People over 50 are more predisposed to try online dating through an app. But what dating options have senior singles who look for love online? When talking about dating apps, the first one that comes to mind is Tinder. There are mobile matchmakers for all types of daters, but most of the times, Tinder is crowning the list of the best dating apps worldwide. Senior dating is more sophisticated and serious. And for many mature singles, the swiping app doesn’t belong to these categories. Tinder has always been associated with young daters whose only goal is to make friends or enjoy a passionate adventure. No-strings-attached! There are plenty of stories and personal experiences on the Internet about how difficult it is to initiate a long-lasting relationship with a Tinder match. Most mature singles -men and women over 50 who are back in the market after putting an end to a long-term relationship, people who have lost their significant other or that haven’t been so lucky in love- have other romantic desires. Seniors look for long-term relationships and companionship rather than connections than don’t last more than a few messages. This is why a popular app amongst millennials like Tinder isn’t the first choice for mature daters. Some time ago, a few dating giants that used to compete with Tinder, decided to redesign its services to cater to an older audience when they saw the great potential of the senior dating market. What follows is a short list of the best dating apps dedicated to mature daters. These services can really help you find your soulmate. Zoosk: The mobile version of Zoosk not only has reached the first spot of the best dating apps in the Apple App Store, it has also conquered the hearts of thousands of senior singles around the globe. Why is it so? The app is very intuitive to use and includes the most easy-to-use features from the desktop version: the chat, the advanced search tool, and the popular SmartPick (a list of partner recommendations). A fantastic option for those senior singles who aren’t as good with mobile technologies, and seek fast meaningful connections. be2: This dating service uses an algorithm that is based on a scientific personality test. be2’s unique matchmaking system has been adapted to the dating app. The reason why singles over 50 love it, it’s because they don’t have to spend hours browsing through profiles to find the perfect companion. They just need to solve the personality test, and then they are introduced to potential matches. It is a great app for those mature daters who look for like-minded senior singles living nearby. eharmony/EliteSingles/eDarling: This matchmaker is very popular amongst singles who want to meet older women and men online. What makes this senior dating app so appealing is its unique questionnaire: an entertaining survey simply to solve that then it is used to offer high-quality matches. Users can also send pre-written question to get to know their matches. Another feature that simplifies the experience to those who aren’t so skilled with mature dating apps. Match.com/OurTime: It is said that 1 in 4 relationships start in Match.com. The dating app (and its new brand for older daters OurTime) offers a great pool of senior personals. In spite it uses a complex matchmaking system, the app is very handy. Match.com’s dating experts have adapted their interface to cater older audiences: the design is more visual and the features are simpler to use than in other senior dating apps. You can easily interact with other users through an instant chat, use audios and videos to describe yourself, quickly show your interest in other users with the Tinder-like swiping feature, and constantly receive proposals of potential matches, giving you the option to save time searching for dates online. SilverSingles: In just a few years, SilverSingles has become one of the most trusted services for senior daters in the search for giving love a second chance. Its dating app outstands due to its simple layout, and to the easy access to the most important features that are also available in the desktop version. Users can enjoy its best features on the go: from completing the personality test to easily setting up their dating profile, and sending private messages. All packed in a simple and interactive design!